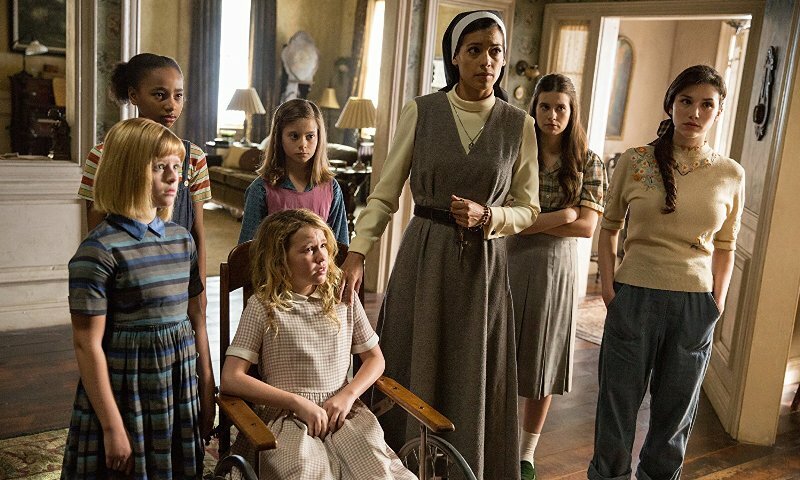 The Story: 12 years after the tragic death of their little girl, a doll maker and his wife welcome a nun and several girls from a shuttered orphanage into their home, where they soon become the target of the doll maker's possessed creation. If nothing else, The Conjuring franchise has been consistent in its level of quality when it comes to story and scares. The Annebelle offshoot series has carried that torch nicely as a fill in for the main set of films and this latest entry takes it back to how the evil doll originally came to be. While the story follows a pretty standard formula, the cast of characters and moody backdrop keep the movie from feeling stale or repetitive. Director of Photography, Maxime Alexandre, fills the screen with beautifully haunting imagery that adds to the creepy vibe inside the house and also provides a stunning contrast with wide, sweeping external shots. The primary characters, played by rising stars Lulu Wilson and Talitha Eliana Bateman, are the youngest members of the group of orphaned girls and they tackle their roles with the skill of seasoned veterans. They both have experience within the genre, Bateman in The Hive and Wilson in Ouija: Origin of Evil, and continue to prove themselves worthy of the space they are filling on the roster of young, Hollywood talents. Anthony LaPaglia, as the husband and homeowner, is just sort of there and always looks downtrodden and defeated so not much going on there although it was nice to see Miranda Otto who has had recent success on TV but will always be known as Eowyn from the Lord of the Rings movies. 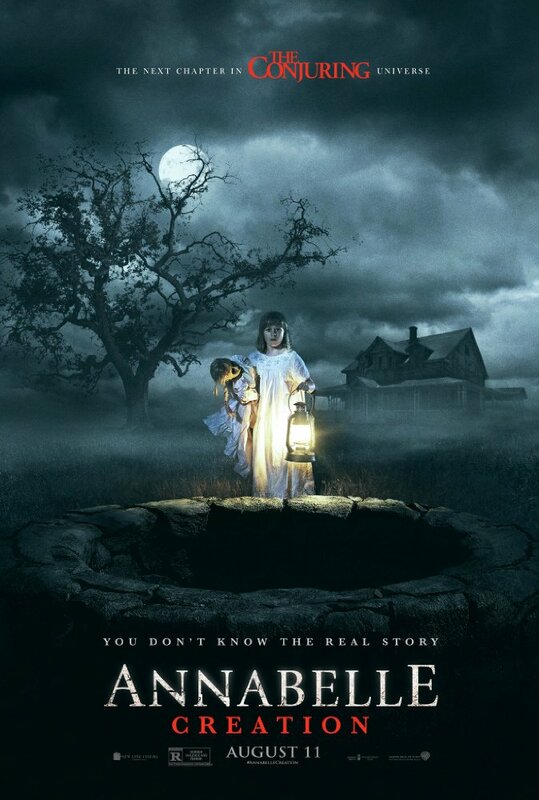 Annabelle: Creation is a prequel / origin story set within James Wan's Conjuring universe although it easily stands on its own as a legitimately effective horror story. Filled with quality acting, a solid story, and striking cinematography, this is definitely a genre film you do not want to miss.